Jan 12, BANGALORE, INDIA (SUN) — Shanka Britha dasa Talking… an interview by Chaitanya Simha dasa. 1. 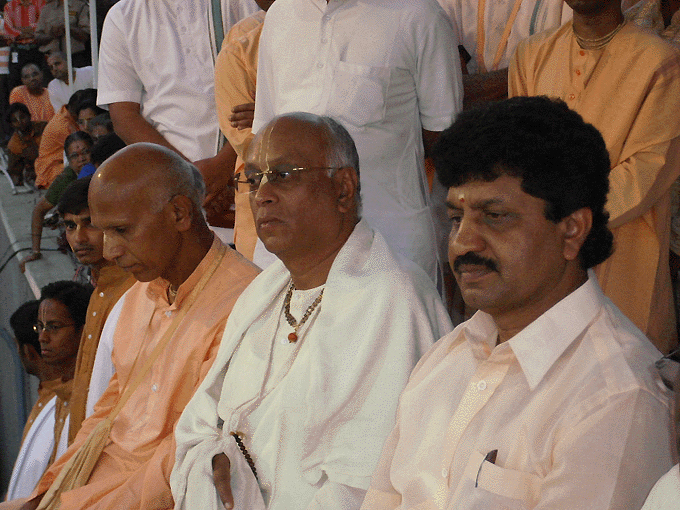 What made you to withdraw your support of the GBC in the court case against ISKCON Bangalore devotees? SBD: First and foremost, I did not want to be a party for those whose only agenda is to send Sri Madhupandit dasa to jail/prison, all in the name of protecting Srila Prabhupada’s legacy. Sri Madhupandit dasa’s “only” crime is that he has boldly rejected the ‘bogus Acarya’ system that still continues in disguise within ISKCON. This bogus Acarya-disciple relationship provides a kind of justification to all those who are ambitious to project themselves as “true followers” of Srila Prabhupada and his ISKCON movement. That in turn fulfills their own ambitions for profit, adoration, worship and distinction. All in the name of carrying on Srila Prabhupada’ s legacy. 2. What is your opinion on the court cases? SBD: I was appointed as the President by none other than Srila Prabhupada, way back in 1976, whereas H.H. Jayapataka Swami has outrageously lied in the court of law that he appointed me as President of ISKCON Bangalore. He was not even GBC in 1976 – not to speak of being GBC for South India. My first GBC was the then H.G. Balimardan prabhu and then H.H. Hansadutta Swami. Jayapataka Swami became GBC only in 1979 Mayapur GBC meeting. They not only deliberately kept me in total darkness of the whole case from 2003 till 2008, but were lying to the judge that I am not willing to come to court for witness. Why did they do this? The world should know. The answer is they did not want me to speak the real truth. I also saw the written affidavit given by Jayapataka Swami to the court, wherein he proclaims that H.H. Tamal Krishna Goswami reprimanded me for registering ISKCON Karnataka. This is completely false. I registered ISKCON Karnataka society under the approval of H.H. Hansadutta Swami purely for furthering the growth and development of ISKCON in this part of the world, and primarily for getting assistance from the Government of Karnataka with a suitable land to build a temple in Bangalore for expanding the preaching work. To that effect I did what was needed and registered the society as per the law of the land. I started the society in Bangalore along with my Godbrothers, Ananthapadmanapa prabhu as Vice President, Amiyavilas prabhu (now Amiyavilas Swami) as the Secretary, Poornabrahma prabhu as Treasurer, Ramashradda prabhu and others with a few life members. No one ever reprimanded, even till 1988, when I was the President of ISKCON Tirupathi. And nobody brought up the fact of another society registered in Bangalore as an issue. On the contrary, Jayapataka Swami sent his then favorite disciple, at that point of time, Sri Madhupandit das to meet me and obtain my resignation letter as the President of ISKCON Karnataka. Accordingly I submitted the same. Jayapataka Swami and Bhanu Maharaj with other devotees became the members of the board of ISKCON Karnataka. The land application was made by Madhupandit das in the name of Bangalore society, for which they had consented. At that point Jayapataka Swami even wanted Madhupandit das to apply for a separate tax exemption. They sailed together all the way up to year 1999. Only when Madhupandit das questioned the Acarya practice in vogue at that time did he become a villain to Jayapataka Swami. As inspired by the final words of Srila Prabhupada, Madhupandit das boldly, risking his future in ISKCON, rejected Jayapataka Swami’s Acarya-ship that he was falsely claiming. 3. But why are ISKCON leaders claiming that Madhupandit das has stolen Srila Prabhupada’s property? SBD: My question to them is, can they come and prove in person as to what it is that he has stolen? The property is existing in the name of the society, which is one of the biggest temples of ISKCON. The whole world knows all other achievements of Bangalore yatra till date. Accounts are being audited year after year on the Akshaya Patra. The accounts are audited by the world famous KPMG group of auditors. Madhupandit das is very much in the temple and has not run away, like others who directly threatened the GBC, but latter they ran away with millions of Srila Prabhupada’s BBT money. Every thing is open to everyone and they can come in person to know more about the activities in Bangalore. But instead of this, they make a hue and cry that Srila Prabhupada’s property being stolen away. What they really mean is that Madhupandit is a threat to their dubious ways of controlling the property, disciples, and profits to their personal accounts in the disguise of ‘Guru Dakshina’. This is the real story behind. Srila Prabhupada never appointed the eleven acaryas. He also never encouraged or desired the centralization of power plan that was attempted by some of his senior men while His Divine Grace was on the planet. In one incident, while handling the restaurant property of H.H. Sudama Maharaj in Hawaii, Srila Prabhupada dealt it in the following way: when it was brought to the notice of HDG that Sudama was not willing to give up the ownership or title of the restaurant, Srila Prabhupada told him that since Sudama was his disciple, and as everything of a disciple belonged to the Spiritual Master, all that Sudama had was his. Quote – “So as disciple you belong to me and that means everything of yours also belong to me. Now whose is the property? ?” Sudama replied that it belonged to him. Srila Prabhupada asked him again, but Sudama insisted that the property was his. Finally, Srila Prabhupada gave it up and Sudama left. 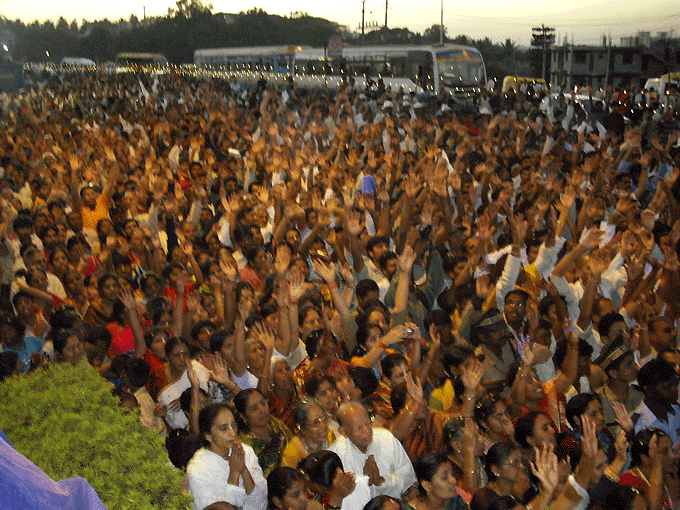 The devotees present suggested to Prabhupada that they should file a court case. Srila Prabhupada disagreed with this and said that as Vaishnavas, we should not force anyone. Krishna’s service is based on “Love and Trust”. So, if someone is not willing to give it on the basis of Love and Trust, that is alright but we should not fight in the court like the materialists. This is the quality of HDG. He not only preached, but lived a life as per the mood of Vaishnavas, and in his last days on this earth he told all his disciples not to fight amongst themselves. In the case of Madhupandit das, he has not put any property in his personal name. All the property is in the name of the society and he is very nicely managing it with a group of devotees. They also have a governing committee to manage the affairs. He has not hidden any money in any Swiss bank account nor has he diverted any wealth away from the society, as done by some ISKCON Gurus. He is only against the bogus Acarya-disciple ownership and the evils connected to it, in whatever disguise it is followed at present. He is only concerned that Srila Prabhupada be given the rightful ownership of everything and everyone in ISKCON. In my humble opinion, the Vaishnava community should come forward and join hands with him to really glorify and keep Srila Prabhupada in the center as the only Acarya of ISKCON for the next ten thousand years. In my close interaction with Madhupandit in the last few months and in my opinion, he is not against the ‘paramparik guru system’, but the bogus Guru/Acarya system of physical parampara by appointment or selection of some committee, as ISKCON is following now – a system which was not approved even by the founder of Gaudiya Math. 4. So you are saying that the parampara is not lost just because Guru has left the planet and no one in flesh and blood is authorized by him? Now, we have to note down this point. Why it is lost?… Why it is lost? Do you think that there was no learned man during that time? During Krishna’s time? Oh, there were many learned sages. Not only one, or two, there were dozens of learned sages. But still, the Lord said, Krishna said, that “They…. That knowledge which I exactly imparted to sun-god is now lost.” How it is lost? And still how it is lost? The lost means that the purport of Bhagavad-gita. That is the purport which Krishna wants to stress. So any student of Bhagavad-gita must note it, that Bhagavad-gita commented by a person – he may be very scholar in the material sense, but that scholarship will not help to comment on the Bhagavad-gita”. 5. Why did you shift your support to Madhupandit das? SBD: In the year 2003 when Jayapataka Swami, Doyaram, and their henchman Anukul Keshav (Ashok Gupta) approached me for help in the court case, he told me that it is for Prabhupada’s sake they have come to me. I extended my support blindly till 2008. They kept me in total darkness. I had no idea of their actual motivation or plans. Around 6 to 7 months back Doyaram das came to me seeking clarification. During this time he personally revealed to me his plan to win the court case by filing some criminal case on Madhupandit using my signature, and not only attack Madhupandit das but also to put him in Jail. After this he wanted to wind up the society I had established in Bangalore. This was a shock to me and his behavior was totally avaishnava. Every thing started to become clear to me. At this point I was being used to destroy a Vaishnava’s service and even his life. All in the name of justice by people who are unscrupulous. It was then I decided to go to the court myself and follow up the case. To my surprise and shock, I discovered volumes of false statements, my forged signature by Doyaram’s camp, and completely false statement of Jayapataka Swami about the earlier days of ISKCON Bangalore. Further, as I closely followed the case I also discovered all the crooked and criminal angles being adopted by ISKCON Mumbai’s camp. All in the name of Srila Prabhupada. ISKCON Mumbai’s claim that Madhupandit prabhu has stolen Srila Prabhupada’s property is the wildest outrageous allegation. Now, my godbrothers who were part of the ISKCON Bangalore society, namely Amiyavilas Swami, Ananthapadmanabha prabhu and Poorna Brahma prabhu, are also supporting the cause of ISKCON Bangalore, after they too realized the game plan of ISKCON Mumbai. I have enough records to prove that ISKCON Bangalore is a legitimate society registered for spreading Krishna Consciousness, as desired by Srila Prabhupada. Whatever I did (by registering) in this regard would have been approved by HDG Srila Prabhupada if I had approached him in person. Srila Prabhupada was the most practical thinking Krishna Conscious Acarya, unlike the self-proclaimed bogus Acarya’s whose only agenda is to control property, followers in the name of Srila Prabhupada. Whatever is happening to Madhupandit Prabhu today was the same kind of attack that was unleashed upon me, way back in 1980′s. Thousands of Srila Prabhupada’s disciples left ISKCON with great pain in heart. When will the day come soon that this will be put to end?! So that Srila Prabhupada’s teachings are not misused by self-proclaimed Acaryas/Gurus in disguise of protecting ISKCON.